Stephanie has been doing kickboxing for 10 years and for the past 6 years has been in Team GB. Once a year she travels internationally with Team GB and several times a year with her club team for competitions. Stephanie commented that she feels supported by her tutors in competing in tournaments, adding that they regularly check on her progress in competitions. 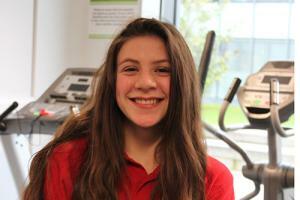 Stephanie helped run a College Futsal event as part of her class and was awarded Student of the Month for her course. She really enjoys her studies and aims to progress to the Level 2 Extended Certificate next year.